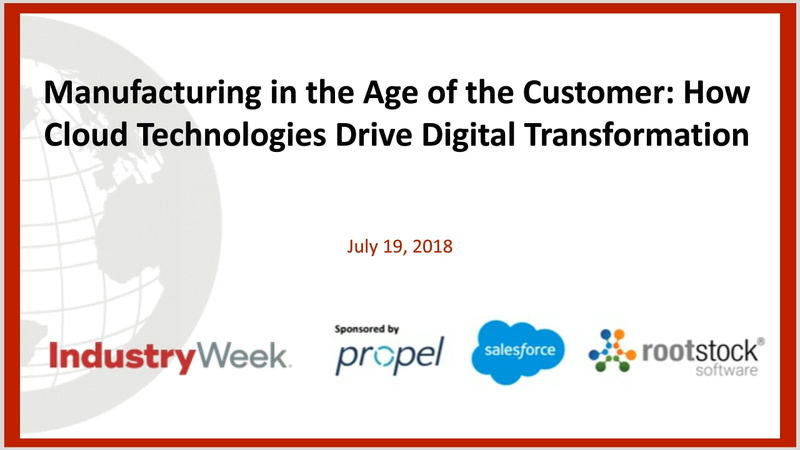 If you want to better understand what your peers are doing to drive innovation, customer loyalty and manufacturing excellence, make sure you watch the “Manufacturing in the Age of the Customer: How Cloud Technologies Drive Digital Transformation” On Demand webinar with IndustryWeek. Executives from technology leaders Salesforce, Propel and Rootstock discuss how cloud solutions are helping all types of manufacturers with digital transformation, Industry 4.0, and manufacturing best practices. They also share how today’s most innovative companies are rethinking how they deliver products to the market.